The law was enacted for effective implementation of the United Nations Convention against Corruption, which was ratified by India in May, 2011. It was enacted so that “the Government's commitment to clean and responsive governance” could be reflected in effective bodies in order to contain and punish acts of corruption. Lokpal and Lokayuktas Act: A Commentary- By Adv. Ajith S.
Access further coverage by LiveLaw, here. Andhra Pradesh Reorganization Bill, 2014 received the assent of the President on the 1st March, 2014. The Act carves out a separate state called Telangana comprising 10 districts of the existing state of Andhra Pradesh. The ''appointed day'' for the new States' formation was 02 June 2014. The Act received the President’s assent on 9th December, 2014. It further amends the Merchant Shipping Act, 1958 to bring it in conformity with the International Labour Organization’s Maritime Labour Convention, 2006. The Convention lays down the standards for the living and working conditions of seafarers, including their food, accommodation, medical care, social security, and recruitment. The Act received the President’s assent on 17th December, 2014 and seeks to amend the Constitution (Scheduled Castes) Order, 1950 and the Constitution (Sikkim) Scheduled Castes Order, 1978. It includes certain communities in the list of Scheduled Castes in Kerala, Madhya Pradesh, Odisha, and Tripura. Article 341 of the Constitution empowers the President to specify castes which will be deemed as Scheduled Castes through a notification. 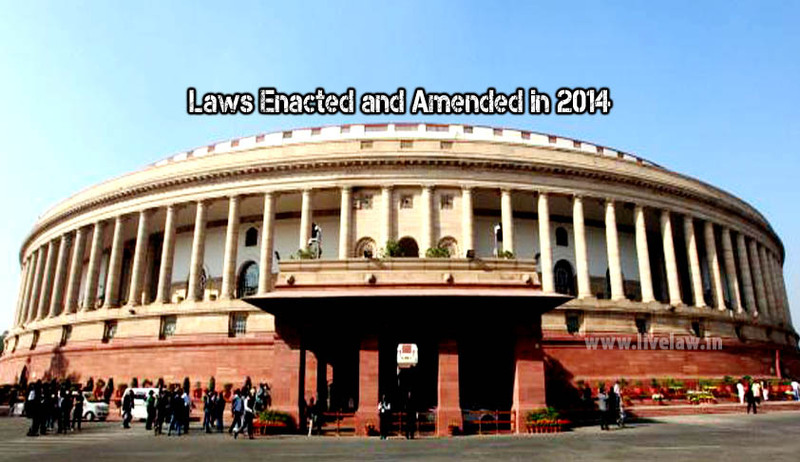 It also empowers Parliament to include or exclude castes from the list of Scheduled Castes in the notification.